Home / Uncategorized / New calibration material. I added my calibration phantom and spreadsheet to the Morgan git repository. 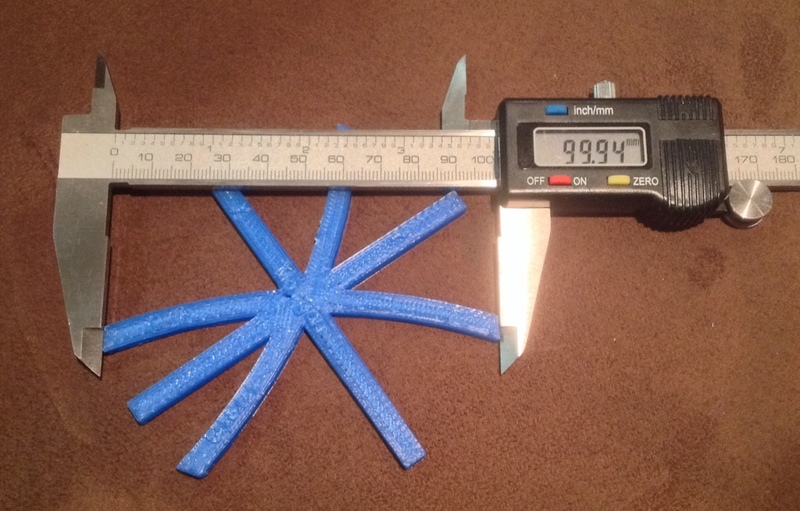 Print the STL, and enter the measurements in the spreadsheet. It is not perfect, but take the guesswork out of calibrating the steps per angle. Remember to keep the calibration guide in mind when changins steps per mm. The offsets change when the steps do, and you will have to reprogram the theta 0 and theta-psi 90 angles again.